UPDATE: Yesterday we had the official review day for the Shamans! I’ve been in the shoes about a month now and feel like I have a much better idea of their all around quality and capability. At this point, I am happy to report that I am still very impressed with this shoe. Over the past month I have really put them through their paces, taking them on every type of route imaginable, including some trad and crack climbs, which was very painful and not recommended. Haha. Other than that though, my overall impression of the LV Shaman is very positive. 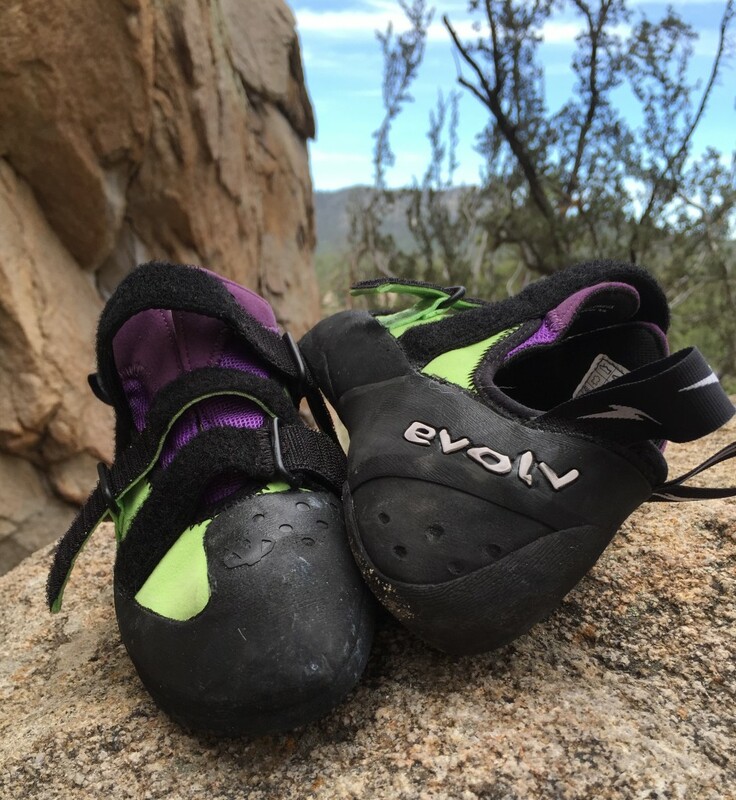 I continue to be impressed with the versatility of the shoe and my ability to take it on most any type of climb, from overhang to slab. I never once had an issue with my feet slipping or blowing off, which I think is a testament to the quality of the Evolv rubber. Besides those climbers who want to focus on trad, crack, or exclusively slab climbs, I would really recommend this shoe to just about anybody. To answer my questions from below: 1.) The shoes have continued to stretch a bit throughout the month, leaving a small amount of space around my toes, which makes me feel like my feet are slipping inside the shoes. Though they are fairly true to size, for a bit more security, in the future I might think about downsizing 1/2 street shoe size. 2.) After a month of hard climbing, the rubber is still solid. I generally wear through my Nagos in about three months, and the Shaman seems to be on track to make it at least this long. 3.) As mentioned above, the shoe continues to impress me with it’s versatile performance. I bouldered on many steep routes over the past month and was happy with my ability to toe down and generate power off of even small holds. 4.) Even though I am becoming more used to the Shaman, I’m still a little unhappy with the lack of sensitivity. On thinner climbs I am forced to simply trust the shoe, rather than actually feel what I’m standing on. But like I mentioned, I’ve never had my feet come off, and despite the lack of sensitivity, I am definitely adding the Shaman to my very small arsenal of shoes. Coming from somebody who has fought a losing battle with aggressive shoes, I think that’s definitely saying something! 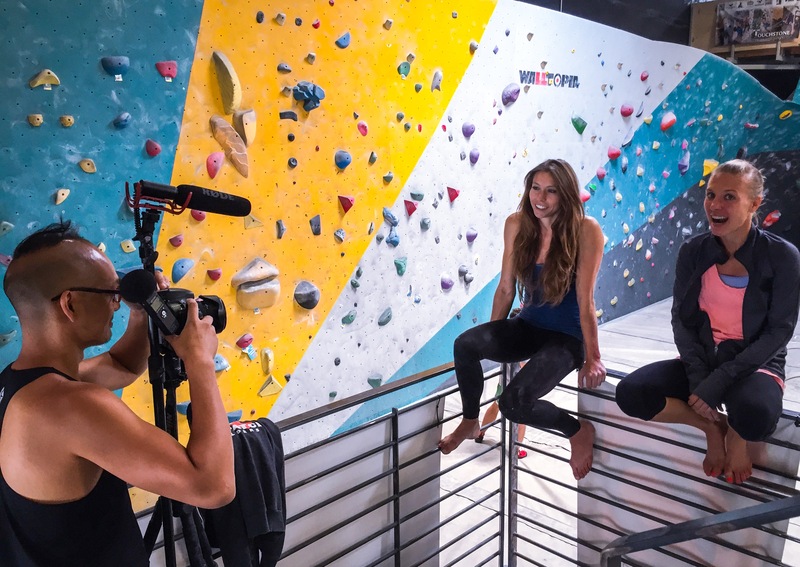 I’ve recently started working with a company that reviews climbing, camping, and outdoor gear. The first product I was asked to review was the Evolv LV Shaman. Though I’ve heard many positive things about this shoe, I have to say I was skeptical. I have some nagging foot injuries from years of doing gymnastics and this generally prevents me from wearing constrictive, aggressive shoes. I’ve tried many brands, styles, and sizes over the past few years, but my go-to shoe is the La Sportiva Nago. Though I consistently get teased by my friends about my lack of aggressive shoes, I’ve worn Nagos on routes up to 5.12c and have never had a problem. From slab to overhang to multipitch and bouldering, I trust my feet in these shoes completely. Thus, it’s always with some trepidation that I try a new style. I knew Evolvs tend to run a bit small, but they also have a reputation for stretching, so I opted to go with my actual street size for the LV Shaman. When I slipped them on for the first time, I have to admit, I was immediately impressed with how well the shoe formed to my foot, especially the heel area. 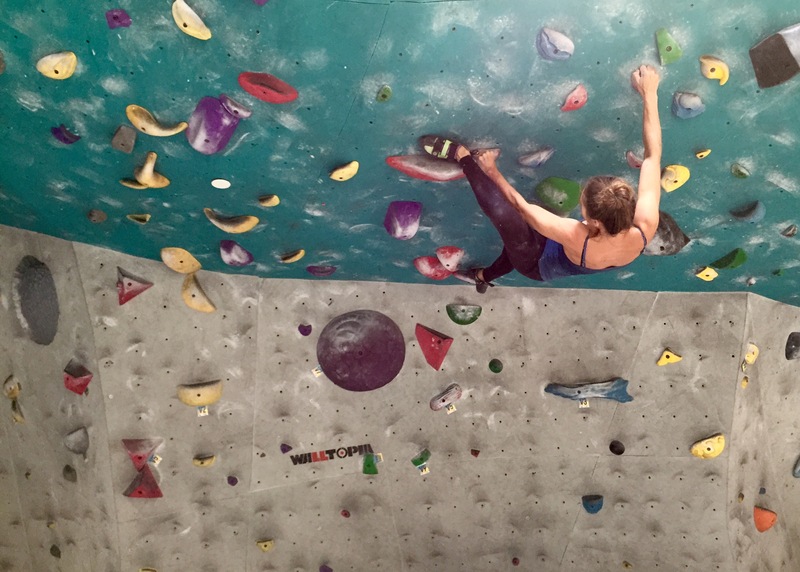 I struggle with heels; they either pinch my achilles (as with the La Sportiva Miura and 5.10 Quantum) or tend to slip lose unless I down size quite a bit (as with the LaSportiva Nago and 5.10 MoccAsym). The heel of the Shaman fit perfectly though! Besides this, I liked the added support through the mid-sole area as well as the extra volume in the knuckle box.. Though the Shaman was still uncomfortable at this point, I felt that unlike most aggressive shoes, it really supported the shape of my foot, rather than crunching it up painfully. For the Shaman’s first test, I took them to the Holcomb Valley Pinnacles for three days of climbing over Fourth of July weekend. 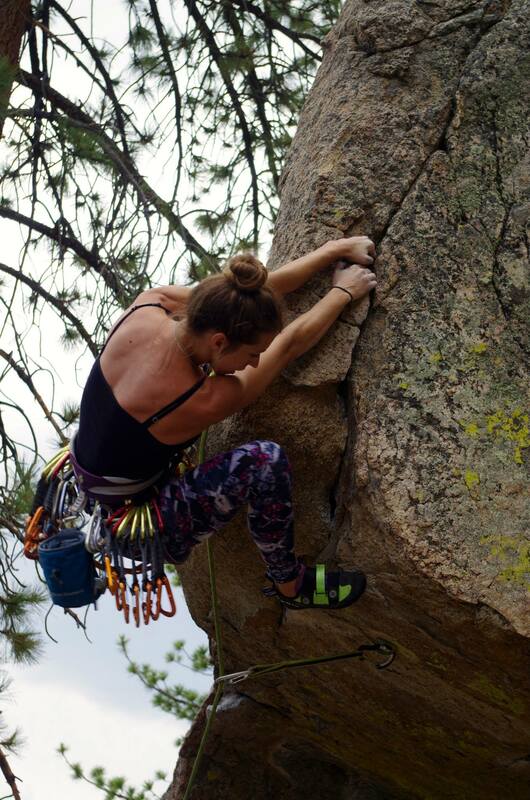 Holcomb Valley routes are generally a mix of vertical and slab, with a bit of overhang thrown in here or there. This isn’t the type of climbing an aggressive shoe is necessarily designed for, so I was interested to see how they would fare. As I was taking several new climbers out for the weekend, I didn’t have the opportunity to get on anything too difficult. Day one I climbed a few 10’s and put in two laps on an 11d with a dicey slab section. This did not go well to say the least. Honestly, I was in pain and I was miserable standing on anything smaller than a six inch ledge! Though I had no issues with the shoes actually slipping, I did not trust my feet at all and I hung both times at the slab section. Climbing in the sun seemed to do the Shamans some good though, because I noticed a significant improvement in the feel of the shoe by day two. Though I was still hurting, already the shoes had stretched a bit and I felt slightly more comfortable on smaller foot holds and had more confidence in the rubber and my ability to edge and even smear. On my first attempt, I redpointed the 11d I had struggled with the day before, and right after that, onsighted a second 11d, which consisted of vertical crimps and a slabby finish. On day three I was climbing almost comfortably. I got on several more slab routes and then jumped on some moderate overhung routes. I have a pension for high heel hooks and after doing a few of these was extremely happy with how secure the heel felt. The shoe also worked well for toeing down on small holds under the roof. After three days, my initial impression of The LV Shaman is very positive! 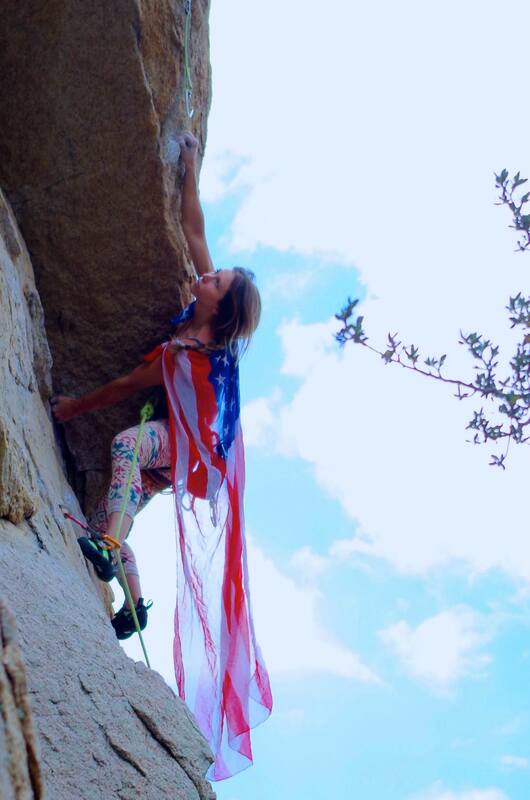 I was able to climb every route I attempted and had no issues with my feet blowing off, even on some delicate slab. At this point I have only two concerns: 1.) The shoes seem to be stretching rather quickly (though this might have been exacerbated by the hot weather) and I worry they may actually become too loose. 2.) I personally felt that the rubber was a bit thick and lacked sensitivity on small edges, which caused me some issues in trusting my feet as I couldn’t always feel what I was standing on. In regards to other reviews, I have heard complaints that the rubber on these shoes is actually too soft and not quite supportive enough, but I did not find this to be an issue. I liked the flexibility of the rubber as I think it made the shoe a lot more versatile. I was able to toe down securely on overhang, but also smear and edge effectively on thin feet. All in all I am definitely happier with the LV Shaman than with any of the other aggressive models I have tried lately. I’m going to put them to the test for a few more weeks and should have a better overall conclusion then. Some questions I have in the meantime are: 1.) How much will the shoes stretch? If they’re comfortable after three days, are they going to be too large after three weeks? 2.) As the rubber is a bit soft, how long will it last? 3.) How will the shoe perform on overhang and powerful moves? 4.) As they wear in, will the sensitivity improve? Check back on this post for more info soon! Showing some holiday spirit on the slabby crux of Public Hanging 5.11d. Pulling over the roof on Nitroglycerine 5.10b.